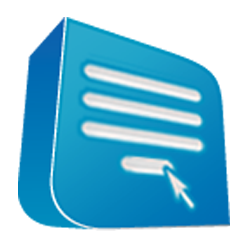 Thank You Message - display a fully customizable HTML message after the form is submitted correctly. Placeholders: everything your visitor submits is available as a placeholder and can be used in emails and thank you messages. AJAX validation - validate the form without refreshing the page. SEO oriented - semantic code, meta description and meta keywords editable on the form. 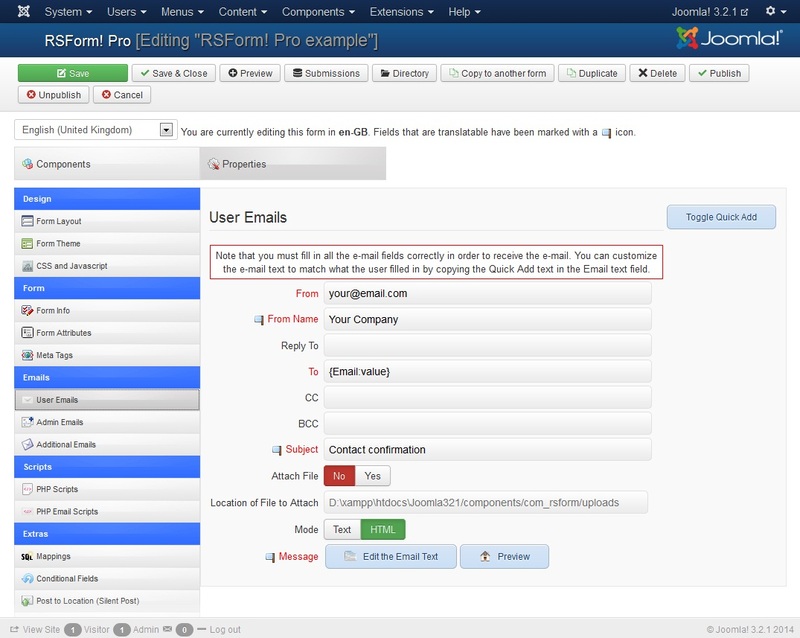 User Emails - configure an email to be sent automatically to the form submitter. 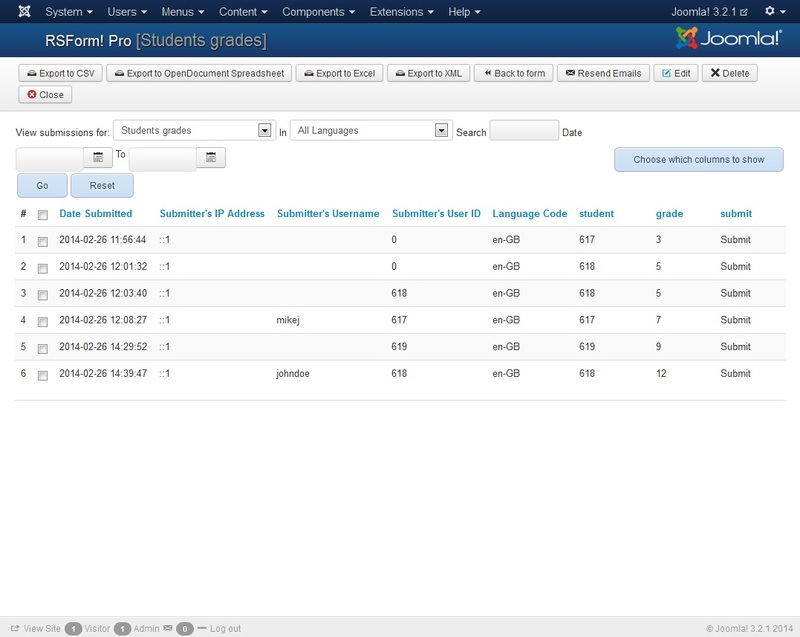 Admin Emails - configure an email to be sent automatically to administrators. 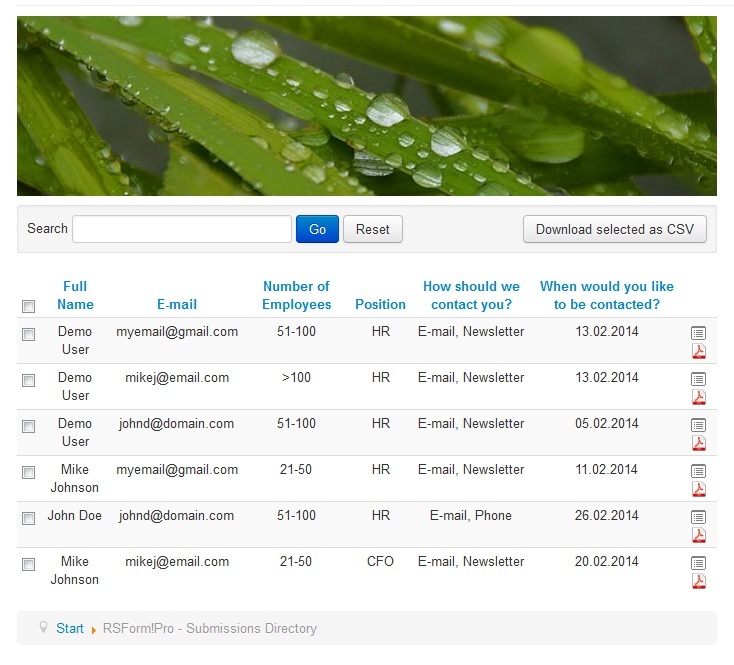 Additional Emails - define as many emails as you need! 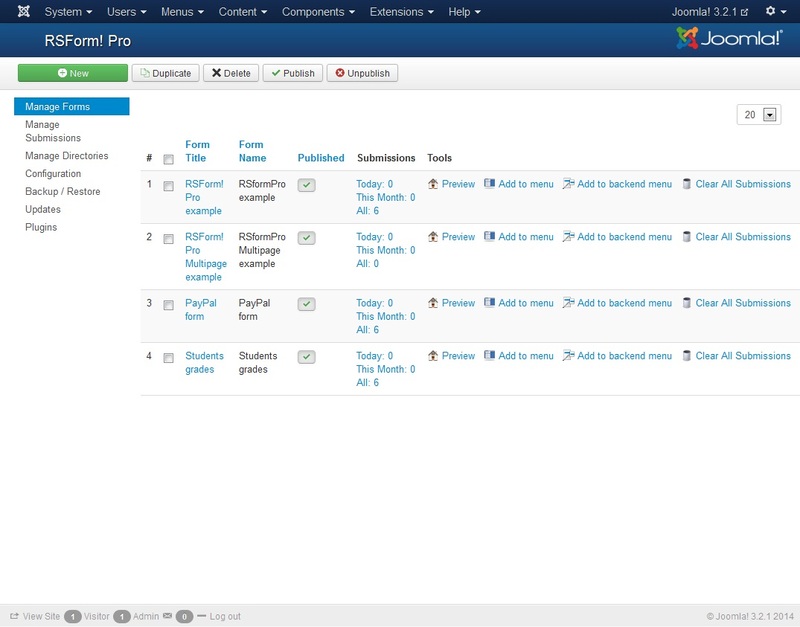 View submissions in the frontend by using the new Submissions Directory feature. 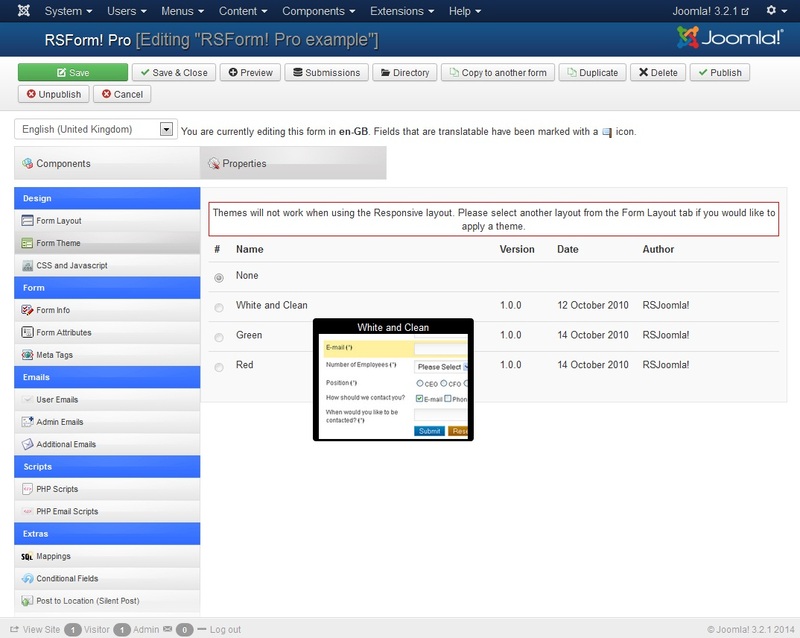 Submissions are displayed in a tabular format, can be reordered by columns and filtered. 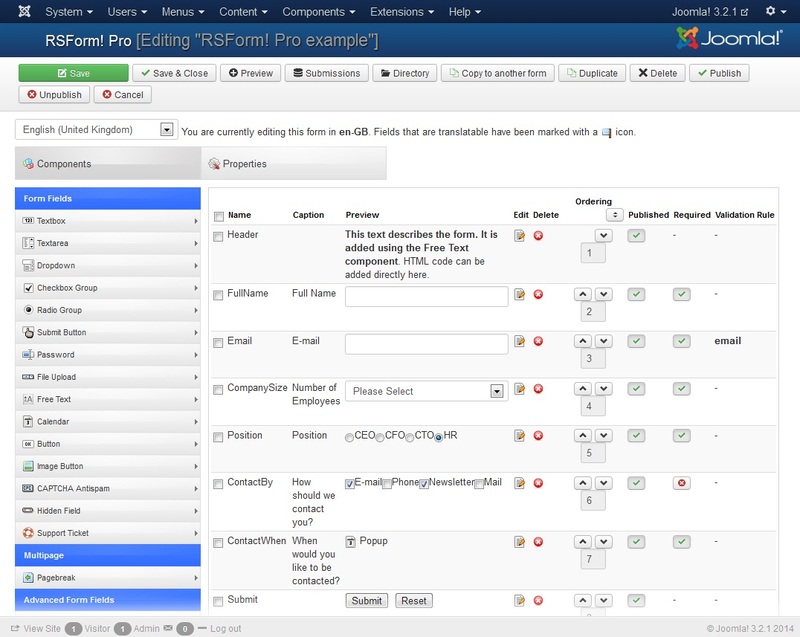 Extensive submissions management - export them into CSV, Excel, OpenOffice, XML. Built-in SEF support, no extra 3rd party extensions needed! Collect payments through your form by using the Payment Package Plugins (PayPal and offline / wire transfer payments included). 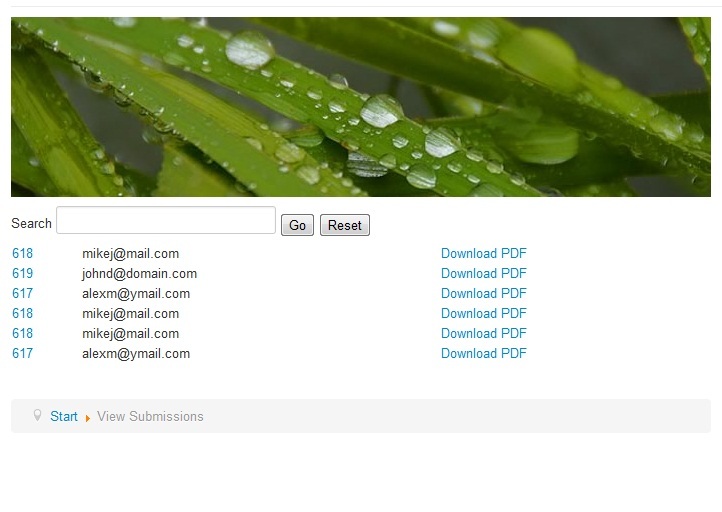 Create a PDF file with the submitter's information and attach it to an outgoing email! If you can not, what is your problem? Como recargo puntos? 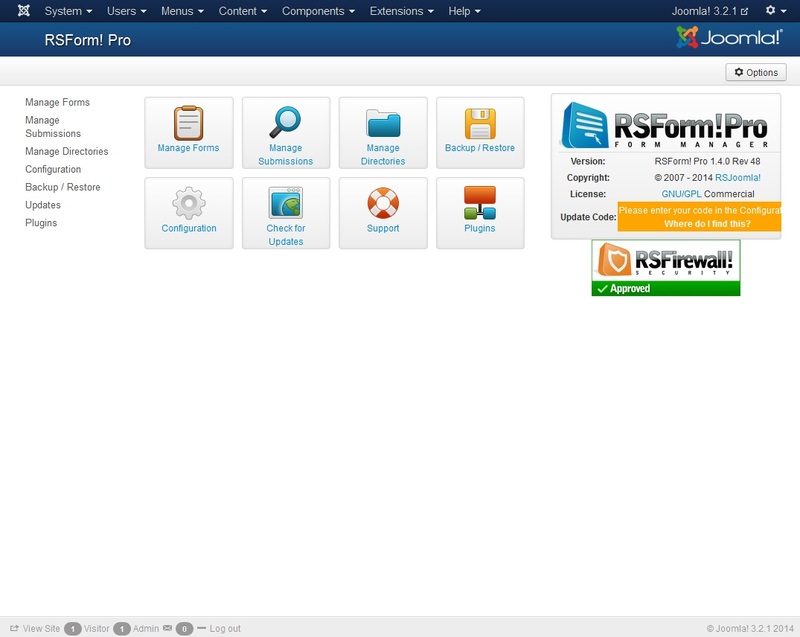 Quiero descargar RSFORM PRO y me dice que se requieren 5 puntos y que solo tengo 2. Please update to the latest version released 08/01/16. Thank you. They didn't show up when i search for RSForm on here. Please update to 2.1.6 and plugins also.